How long has it been since you’ve had your tile and grout cleaned? Tile and grout cleaning is just as important to have cleaned yearly as carpet cleaning. 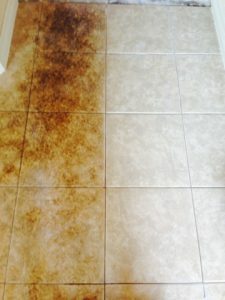 Never underestimate the amount of dirt, grim, germs, and bacteria living inside the lines of your tile. Everyday cleaning with a mop or swiffer type products are just cleaning the surface and are not removing all the junk. If it’s been more than a year since your last tile and grout cleaning then it’s time to call the professionals, Beyer Carpet Cleaning. With professionally trained technicians Beyer Carpet Cleaning can provide the best tile and grout cleaning in San Antonio. When their technician arrives to the home he will go over the step by step process so the customer knows what’s going to happen and what to expect. The tech will begin by measuring your tile so the customer knows what the bill will be. 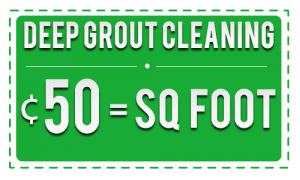 Beyer Carpet Cleaning offers the most competitive price in the tile and grout cleaning industry. Starting with a $99 minimum that covers up to 200 sq ft they only charge $0.50 per square foot if you are over the 200 sq ft minimum. It’s affordable and worth every penny. 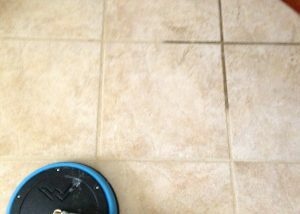 Then they will spray an alkaline cleaner or acid cleaner and scrub it into the tile and grout in order to get up all that dirt and grim. Once they have scrubbed every tile and grout line they then steam clean the areas scrubbed to remove the cleaner products and junk that was brought up. Not only does steam cleaning remove the dirt and cleanser it sanitizes. Your tile and grout will literally be so clean that you can eat off of it. It will be damp for a little while but once it dries your tile and grout will be looking go as new. Beyer Carpet Cleaning are the most professional tile and grout cleaners in San Antonio. Tile and grout cleaning is just one of the many services they provide at a reasonable and affordable price. Once Beyer Carpet Cleaning is done with your tile and grout cleaning you’ll be eager to have them clean the rest of your home!